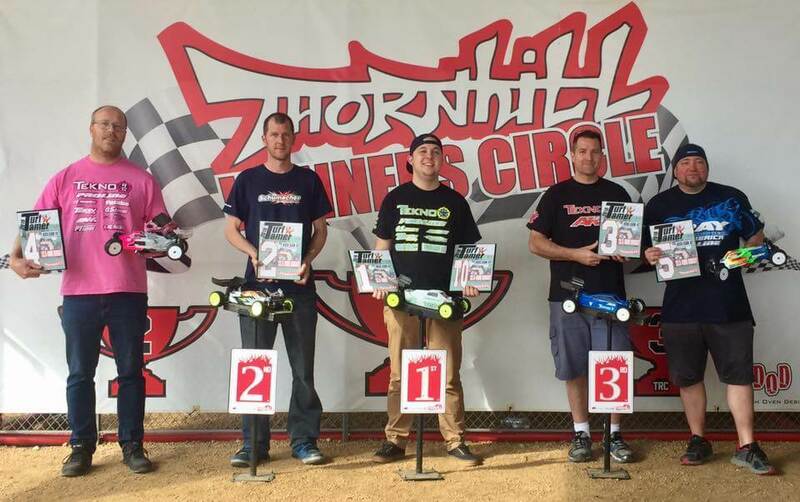 "Turf Tamers is the first big three-day event on the Thornhill Jr. track with a solid 75 entries, we had a fun relaxing weekend with good racing all around. 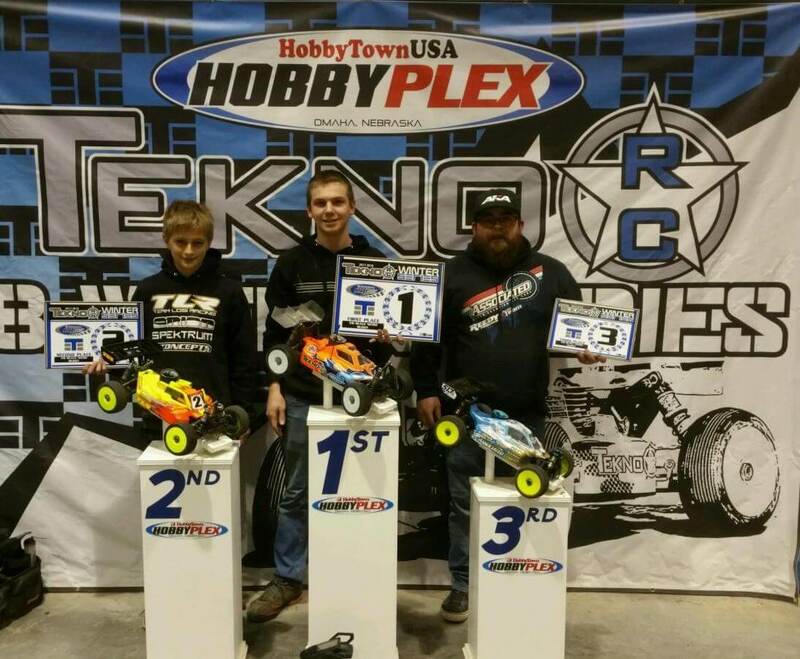 I was able to take the TQ and win in 13.5 4wd Buggy and 2wd Mod Buggy, and the TQ and second in 4wd Mod Buggy." 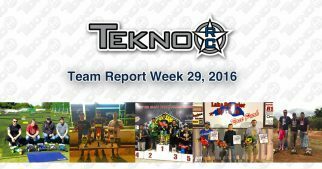 "Round 2 of the Red River Shootout Series was held at Shaws RC in Ardmore, OK. Qualifying had some struggles but put together some good results in the mains with a win in Expert E-buggy (with my EB48SL, this thing is amazing! 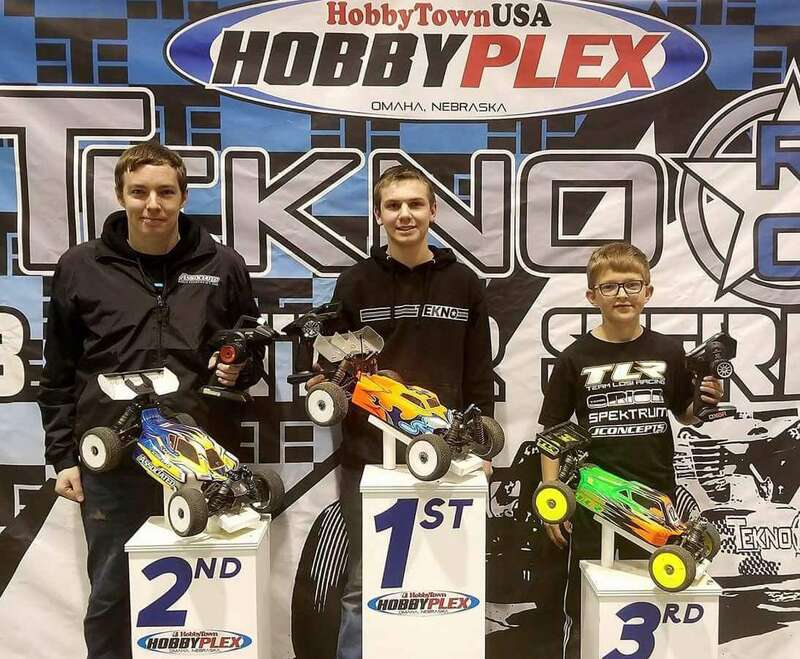 ), 2nd in Expert Nitro Buggy, and 3rd in Expert Nitro Truggy." "This weekend I was able to attend the AMS Pot O Gold Race. It was a really fun day with some good friends. I decided to just focus on one class. I ran 13.5 wheeler. Qualifying started out rough for the first two round but I was able to get a good run in on the 3rd round. With it being “Rocket round” qualifying, it was enough to start me second in the main. The main was one of the most fun races of the year. It was a really tight race with Ron Schwab which was the TQ. I was able to get around him about half way through and keep the lead by a narrow margin the rest off the race. As it turned out, my run in 13.5 wheeler was faster then the winner of mod wheeler." 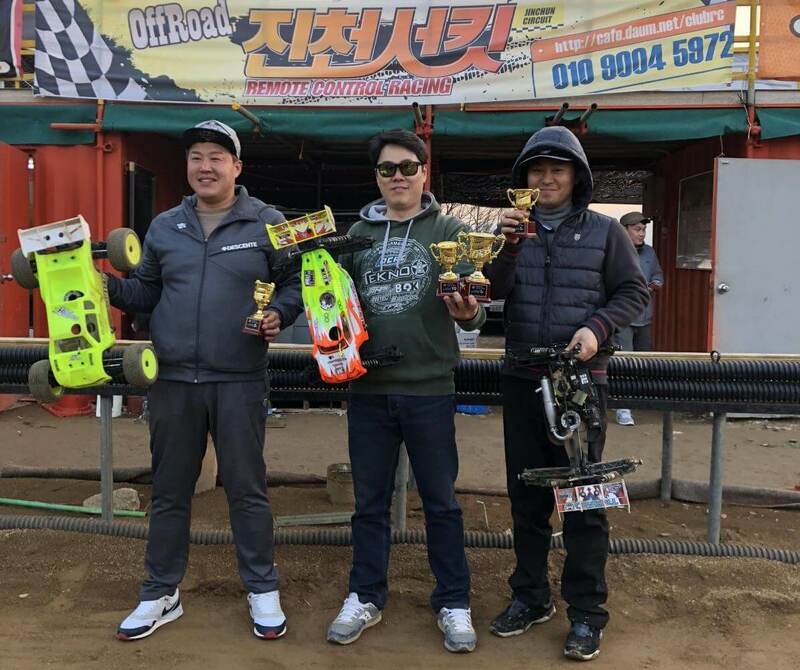 "Last weekend was The JinCheon Championship, our season-opening race, which consisted of a 20 min semi with 40 min final for Nitro Buggy, E-Buggy had triple A-mains and Nitro Truggy was a 20min A-Main. 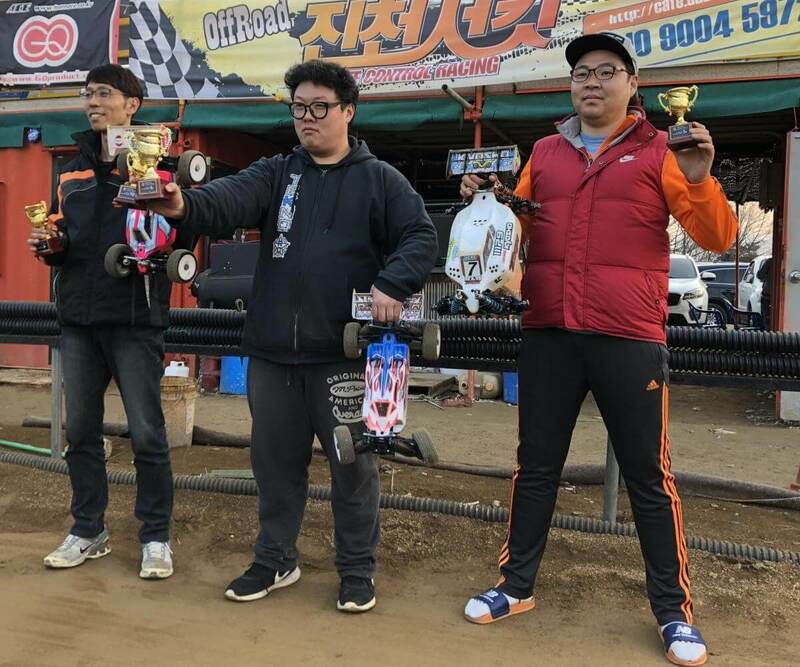 Tekno RC Team drivers Kevin Lee and JaeKyun Kim managed to win the E-Buggy and Nitro Truggy classes respectively!" 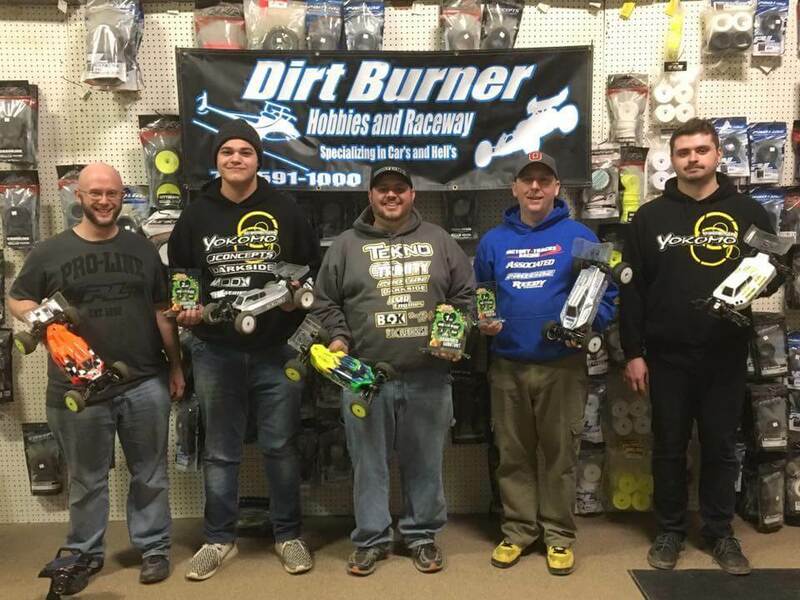 "Had a great time racing yesterday at Dirt Burner Racing's Shamrock Showdown! 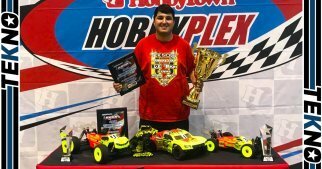 After 3 rounds of qualifying, I was able to qualify 2nd in Mod 2wd and take the TQ honors in both Mod 4wd and E-Buggy with my Tekno RC EB410 and EB48.4! In mod 2wd, Alex made a small mistake early on and I was able to take the lead and never look back! 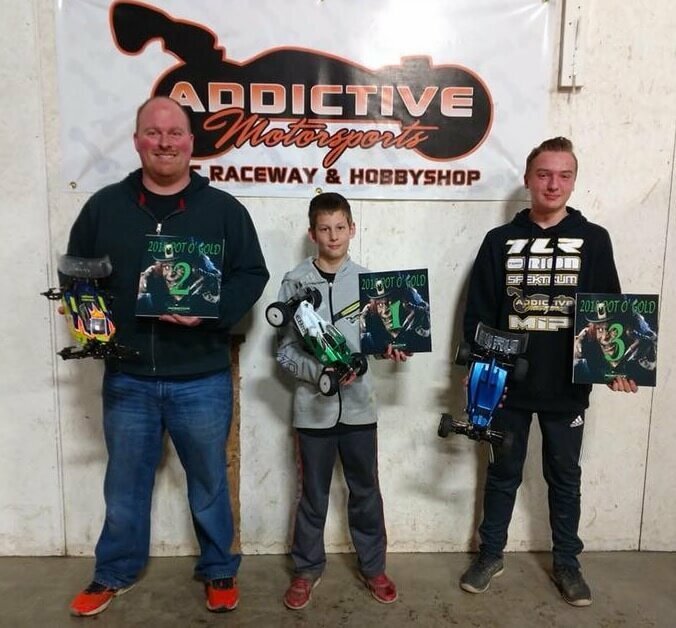 In mod 4wd I led the race from wire to wire taking the win. In E-Buggy, I made a slight mistake early on and let Alex get by. I was finally able to retake the top spot after a few laps of really clean racing between us, and led the rest of the way taking the win once again! Overall super stoked after being off almost a month. Now to gear up for the Pitboss cash race this coming weekend put on by RC Clubhouse Hobby Shop & Race Track!" "On Saturday I attended the first leg of the Dog Days of Summer series. 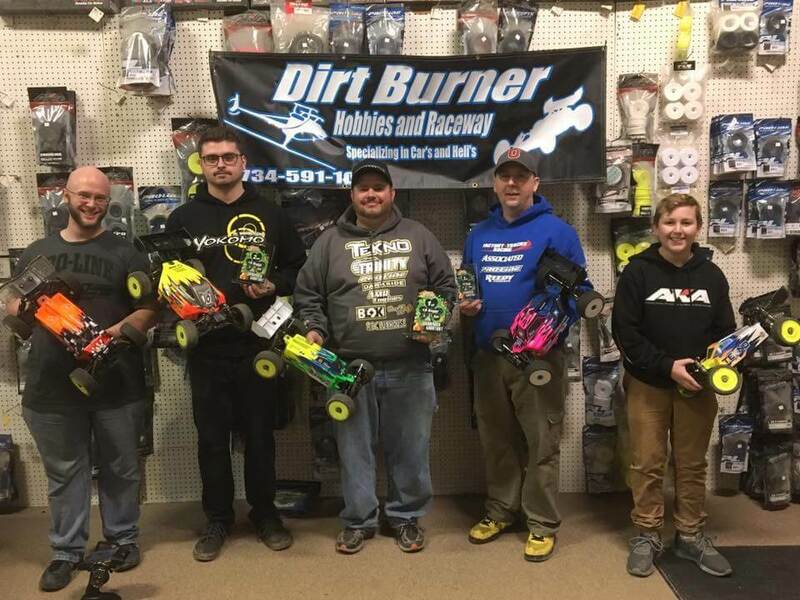 The race was held at Bumps and Jumps RC Speedway in Etters Pa. The series is all heads-up racing and promotes a family fun atmosphere while giving back to the community and racers. The turn out was great with 166 entries. I was only able to get one round of practice in with my 4wd Buggy since there were so many entries. The first round went well. 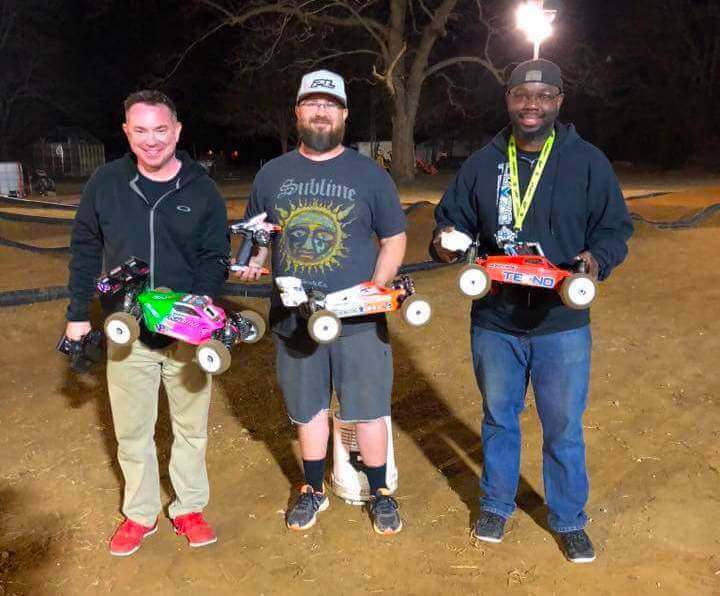 I was 3rd in 2wd 17.5, TQ 4wd 13.5 and TQ in 4wd SCT. This being the first race of the series there were some hiccups with the timing system and they ended up going back to IFMAR qualifying for round 2. I made some changes to my 2wd, going out on the bottom of the arm and a stiffer spring to help calm the car down. I also changed my 4wd to the front shocks in front of the arm just to run the 2 setups back to back for comparison. The only change to my SCT was tires. In round 2 I had a good run in 2wd and ended up 6th for the round. In 4wd the car was on rails! I ended up bettering my TQ time by a lap and running a fast lap .8 better than the previous round. In SCT I bettered my time slightly and held on for the overall TQ. I did not change the 2wd or 4wd for the mains. I need a little more from the SCT so I made a camber link change to try and help. Like I said earlier there were some issues with the timing system so somehow I was TQ in 2wd. I would start on the pole for all 3 races. 2wd up first, the start was a mess. I honestly don't know where I was after lap one but I put my head down and started picking off cars. I worked my way up to 4th and battled for 3rd for the last 2 min. I was able to make a clean pass on the last lap to finish 2nd. In 4wd I started from the pole and never looked back. I lead from start to finish and my fast lap was .8 faster than anyone in the field. The EB410 is a phenomenal car! It's like cheating! In SCT I would again start from the pole but get a bad start. I believe I ended up 4th or 5th after lap one. I quickly worked back up to 2nd but 1st place was about 1/2 a lap ahead. I slowly reeled him in and we battled for the last two laps nose to tail. I just couldn't find a clean place to pass him. Overall it was a great race! Thank you again for your support!" "The final round of the Tekno Winter Series is over and it was a fun season. We showed up Friday for early practice to get the cars dialed in and did just that. On Saturday I put in work and qualified 1st in all three classes. I only ran truck In the first qualifier but E-Buggy and Nitro Buggy I ran all day. In the mains I was confident in my cars and pushed hard but in Nitro Buggy I would break out because of a servo failure. In E-Buggy I lead wire to wire with a good battle behind me. 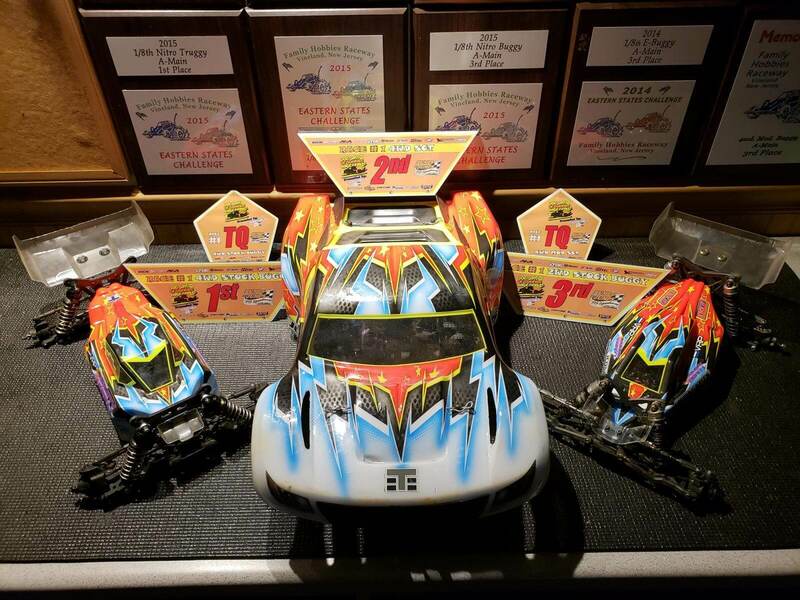 I finished the season with a overall win in Nitro Buggy with my NB48.4 and 2nd in E-Buggy with my EB48.4." "Last race of the Finnish Short Course Winter Cup series was held in Ulvila on a tight, narrow and technical small indoor track. Track surface was linoleum which offered changing traction from low to high bite. I had good pace in the practice rounds which gave me 2nd place to start the qualifications. 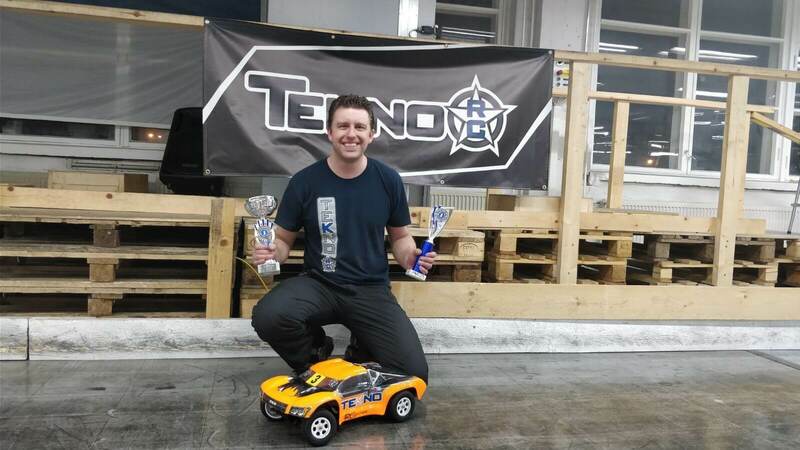 In the first qualification round I was really nervous but somehow I managed to keep my driving under control, resulting in 1st place on that round. After the first round, my driving was relaxed and I was able to improve my pace quite a lot and managed to take the TQ with a clear margin. Mains were tight and there was no room for mistakes. As my pace was really good, I could drive my car without pushing it to the limit and without making any mistakes so in the end of the day, I finished in 1st place by winning every four rounds of mains. By winning this last race of the series, I also placed 1st in the overall standings of the series. My SCT410.3 was on rails all day and it gave me a really good confidence on driving. 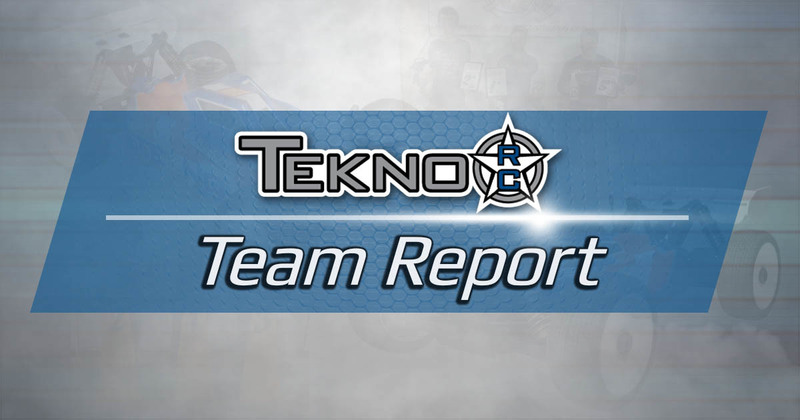 I would like to thank Tekno RC for supporting me and also my brother Janne for doing the paintwork of the body."